Part of the appeal of Detroit's Eastern Market, aside from its impressive array of vendors selling fresh food products, is its buildings. There's the barnyard-style sheds, storefronts on Market Street, and converted lofts—all housed in attractive brick. But these beautiful old buildings, specifically the ones Eastern Market utilizes for food processing, need to be modernized to conform to new legal standards. And if not for the proactive efforts of Eastern Market Corporation, this issue could have seriously undermined one of our region's most unique and cherished institutions. Last year, Eastern Market Corp. engaged hundreds of stakeholders and urban planning firms from Detroit and London, England to produce a plan for guiding the expansion and redevelopment of the district through 2025. Instead of being threatened by the new law, it's using it as an opportunity to modernize. Eastern Market, which made its plan available to the public, is pursuing two major initiatives: create an enterprise zone for food processing to retain existing processing companies and recruit new ones, and serve as a broker between Southeast Michigan farmers and commercial consumers to bolster commerce. "You have a lot of companies with a great family recipe, we get them licensed, they start to feel confident, and work their business. Then they're ready for the next stage of growth," says Mike DiBernardo, Eastern Market's director of Food Innovation Programs. But Eastern Market wants to still be able to accommodate businesses looking to grow and those that would consider relocating to a food processing district. One of those growing companies is Aunt Nee's. Shortly before Michigan’s Cottage Food Law allowed small scale food processors to sell directly to consumers, Patrick Schwager and Carlos Parisi left college armed with a family recipe for salsa. Today they processes a variety of salsas and a guacamole in Eastern Market's commercial kitchen and sell it in the market. But, says Schwager, it might be time to move on. "I really want to stay in Eastern Market. But when you get to the point when you start to see scale with your items, an hourly rate at the kitchen makes it hard to grow," he says. "You're locked in the price point of your items. I'm looking for an option." Growth isn't the only pressure point causing Eastern Market to expand its footprint. A new federal law, the Food Safety Modernization Act, takes effect in January, which will make many of Eastern Market's buildings unsuitable for processing and distribution—its tenants and clients would have to relocate. Hence the creation of a new, ambitious district. Eastern Market hopes to develop buildings and vacant land north and east of the existing market district for both sale and lease. While new buildings will be favored over old given the technological and structural concerns of modern processing, there will also be adaptive reuse of some older ones. DiBernardo says several existing companies in the market, as well 30 in the region, are already considering moving into the area. There's many more facets to the plan, including adding pedestrian circuits, increasing connectivity to the rest of Detroit by opening Russell Street at both ends and advocating for better bus service, improving the amount and ease of parking, and methods to decrease the market's carbon footprint. A feasibility study will also be conducted for creating a new wholesale produce terminal in the northeastern area to replace the Detroit Produce Terminal on West Fort Street and accommodate both large semi-trucks and smaller trucks that deliver to restaurants. The plan also recognizes that the food system is changing, with consumers demanding more locally-grown food. But getting fresh food from local and regional small farms to restaurants and other businesses is complicated. Grow Eastern Market (GEM), which was launched this year, links farmers, some who don't currently sell at the market, with commercial consumers. GEM not only makes the connections, but transports produce in a refrigerated truck—literally from farm to kitchen. With over 100 farms for buyers to select from within 150 miles of the market, there's many options to choose from. GEM offers customers 12 different varieties of eggs and 25 varieties of peppers. 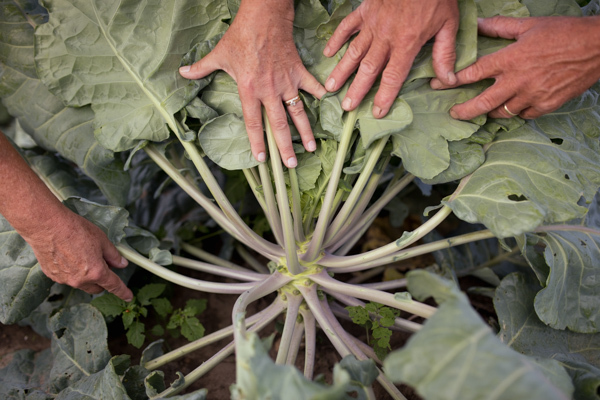 Their farmers have different growing practices: conventional, sustainable, organic, and so forth. Not only that, but farms and restaurants are geographically spread out—even on market days, it's difficult for chefs to connect with growers. Lynne Browne, general manager of GEM, makes a compelling case for everyone in the food chain to participate. "If you look at it from both ends of the spectrum, chefs work long days," she says. "We can bring these products to you. We've been on the farms." Vicki Zilke recently began selling produce grown at her farm through GEM. 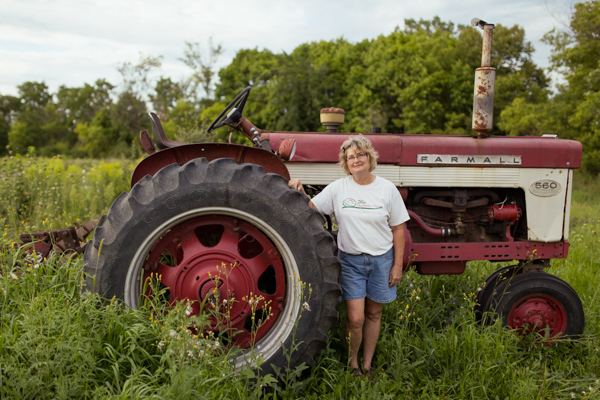 On the 27-acre Zilke Vegetable Farm in Milan, Michigan, she grows a variety of organic vegetables which she sells at a roadside stand, the Ypsilanti Farmer's Market, and to Community-Supported Agriculture investors. GEM now distributes about five percent of her produce. Though it's a small percentage, Zilke says GEM has the potential of impacting her sales "enormously." It eliminates much of the work she would have to do to distribute the produce, while introducing her to new consumers. "My goal is to sell what I grow and have a viable family business by growing good food," says Zilke. "I really don't want to drive food around. That's where Eastern Market is essential to farms like mine. I want to be a farmer … I cannot tell you how important this new process is. In the world of agriculture, often it's the farmer who earns the least amount of money." Eastern Market's crisis has created an enormous growth opportunity, for both its interests and the those of regional growers and food processors. Its managers could have gone with the flow and created a retail/residential zone that retains a food market theme but erodes the transactional purpose that has defined the market for 125 years as a working food district. Instead, it has chosen to adapt to the economic forces shaping it, listen to the people who use it most, and foster social entrepreneurship. As its plan notes, "Economic democracy defines Eastern Market's authenticity." Support for this series on food and agriculture in Southeast Michigan is provided in part by the Detroit Food and Agriculture Network. See other stories in this series here.